Have you met the unofficial 45th U.S. President Yet? His name is Robby Novak, and he’s just ten years old. Okay, so maybe Novak isn’t a real President, but if he was, he’d certainly have that whole public approval thing down. 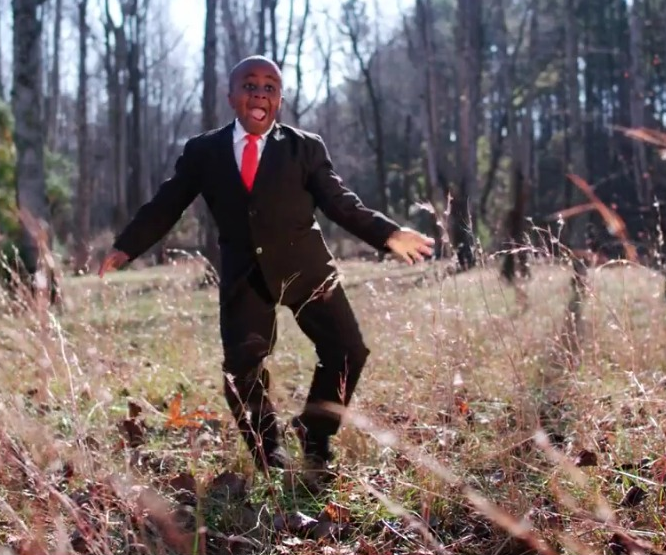 Novak, the proudly self-appointed “Kid President,” has been rapidly gaining fans since his inspirational videos began to go viral a few months back. The “Kid President” videos started as a fun way for Novak and his older brother-in-law Brad Montague to spend time together. Soon though, the genuine, organic comedy found in these videos caught the attention of actor Rainn Wilson, who now produces and airs the videos on his popular YouTube channel, Soul Pancake. Since then, Kid President has become more popular than ever, and has had the chance to meet and interview Pen Ward, Ban Ki-Moon, Andrew WK, Josh Groban, and even President Barack Obama, among others. The Kid President also interviewed Beyoncé in honor of World Humanitarian Day, where the two discussed the ways in which people young and old could make the world a better place. The premise of most of Kid President’s videos is just that – a discussion about how to treat others with respect, how to change the world, and how to be a better person. Hosted by the hilarious, energetic Novak, these videos have resonated with millions of people. Learn more about Robby Novak, “Kid President,” and the recent humanitarian work he has inspired at www.kidpresident.com.